As shown in the Giuseppe Zanotti Fall/Winter 2017 ad campaign featuring Bella Hadid, the ‘Charleston’ boot is crafted in velvety suede with soft billowy plumes and crystals. It is what shoe dreams are made and will lend height and fancy flight to your ensemble. 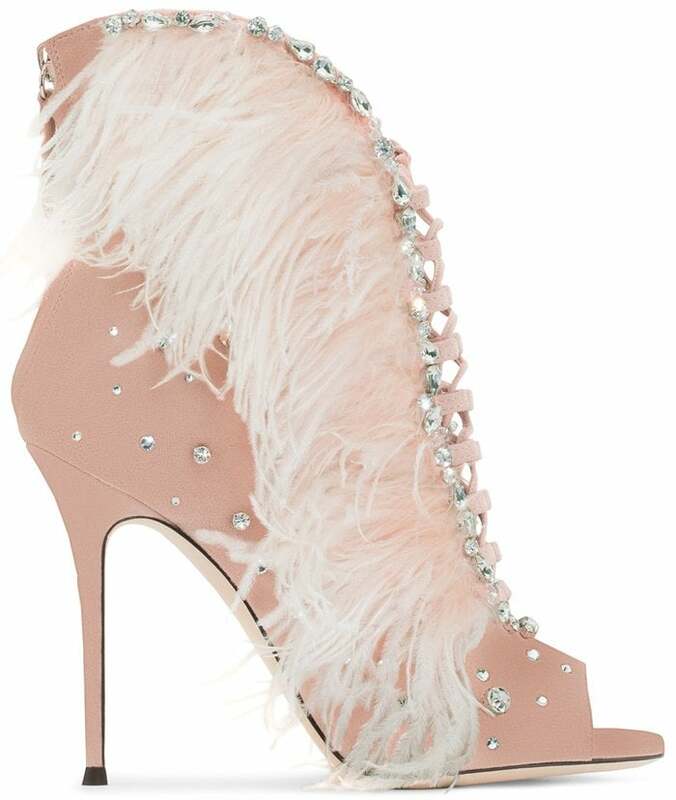 You can buy them in black and pink at Farfetch and Forzieri for $1,995. If you think the price is too high, you can find great alternatives from $10 at JustFab and ShoeDazzle. Constructed in San Mauro Pascoli and underpinned by artisan Italian cordwaining, the ‘Charleston’ booties feature a peep toe, a lace fastening, a leather sole, a high stiletto heel and a rear zip fastening.